Washington — February 23, 2018 … The AIPAC Policy Conference, the largest gathering of America’s pro-Israel community, will take place in Washington, D.C. March 4-6. AIPAC illustrates Israeli innovations, embraces keynote speeches by American and Israeli leaders and coordinates educational sessions over three days. Attending the conference will be over 18,000 pro-Israel Americans, more than two-thirds of Congress, over 3,600 students from more than 630 campuses, 283 Student Government presidents from all 50 states and 275 Jewish synagogue delegations. 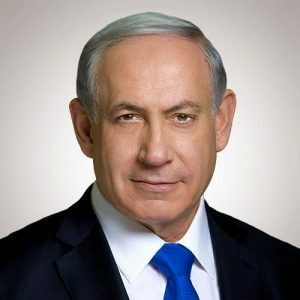 Among the confirmed speakers are Benjamin Netanyahu, Prime Minister of the State of Israel, Vice President of the United States of America Mike Pence, Ambassador Nikki Haley, United States Permanent Representative to the United Nations, Ambassador Daniel Ayalon, Former Israeli Amb. to the United States, Israeli Minister of Education and Diaspora Affairs Naftali Bennett, Ambassador John Bolton, Former U.S. Permanent Representative to the United Nations, Irwin Cotler, Founder and Chairman of Raoul Wallenberg Centre for Human Rights, Nitsana Darshan-Leitner, Founder and Director Shurat HaDin – Israeli Law Center and United States Ambassador to Israel David Friedman, Executive Director Institute for Policy and Strategy Chair, Annual Herzliya Conference Series Maj. Gen. (Res.) Amos Gilead, United States Ambassador to the United Nations Ambassador Nikki R. Haley, Editor-in-Chief of the The Jerusalem Post Yaakov Katz, Editor of The Times of Israel David Horovitz, Israeli Minister of Justice Ayelet Shaked and Congressman Lee Zeldin. The American Israel Public Affairs Committee was founded in 1951 by Isaiah L. “Si” Kenen who had worked at Israel’s Office of Information at the United Nations. AIPAC’S current CEO, Howard Kohr, has been with the organization since 1996. Following the September 11th attacks in 2001, AIPAC stepped up its agenda to make sure that the United States continued to ensure Israel’s security by working with Congress to isolate and financially constrict such terror groups as Hamas, ISIS, Hezbollah, and Palestinian Islamic Jihad. Today, AIPAC has over 100,000 people involved with their pro Israel activities.